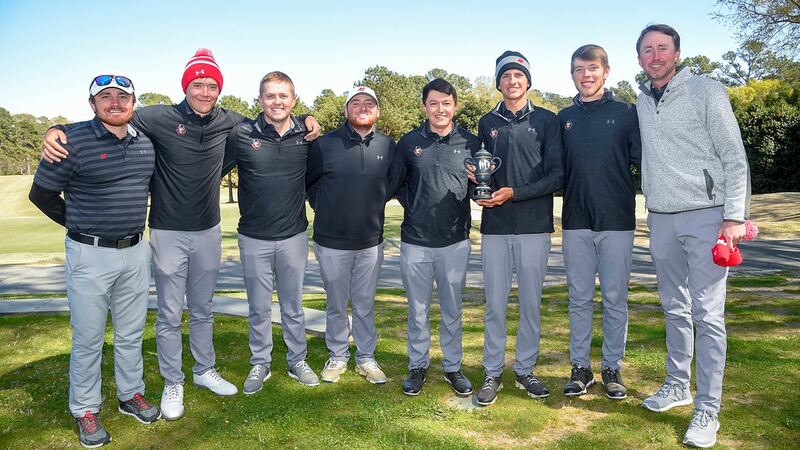 SPARTANBURG, South Carolina—Enduring a tough battle from the rest of the field, Austin Peay held strong to pick up runner-up honors at the Wofford Invitational, which wrapped up Tuesday at the Country Club of Spartanburg. 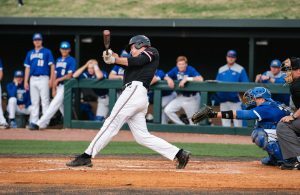 Two Govs picked up top-five finishes to help Austin Peay post an 866 (285-285-296), two-over for the tournament and Austin Peay’s best three-round score since October. Furman (839) ran away with the event, but the Govs held off Radford (867), USC Upstate (871) and Gardner-Webb (873) to take runner-up honors. Sophomore Chase Korte and junior Austin Lancaster helped keep the Govs atop the leaderboard, recording top-five finishes—the first for both in 2018-19. For Korte, his third-place finish was the highest by a Gov this season; he shot 211 (69-68-74), helped by 16 birdies for the tournament. After sitting at four-over through the first eight holes, the Metropolis, Illinois native was two-under over the final 10 holes to charge back up the leaderboard. Helped by a 3.80 stroke average on par-4 holes—tied for the best par-4 average in the tournament—Lancaster placed fifth, his best finish since a runner-up finish last year at the Fort Lauderdale Intercollegiate. As the only Gov under par in the final round and the only Gov at par or better in all three rounds, Lancaster finished with a 212 (72-70-70), including a one-under 34 on the front-nine, Tuesday. Just outside the top-10 sat freshman Micah Knisley, whose 216 (70-72-74) left him 11th, his best finish as a Governor. He shot a three-under 32 on the front nine thanks to a trio of birdies in the final round, tying Lancaster for the team-high with 33 pars and averaging 3.17 strokes per hole on par-3 offerings, tied for 10th-best in the tournament. Knisley, Korte and Lancaster each posted par-4 scoring averages among the top-10 individuals in the field, helping the Govs post the best 54-hole par-4 scoring (3.99 strokes per hole) by a team with a full squad in attendance; South Carolina averaged 3.90 strokes but only put forth individual runner-up Ryan Hall in the event. Junior Michael Busse and sophomore Garrett Whitfield fired matching final-round 78s to round out the lineup. Busse (74-75-78) posted a three-round 227, while Whitfield (75-79-78) sat at 232. Senior Sam Lopez wrapped up as the individual with a 237 (78-76-83). 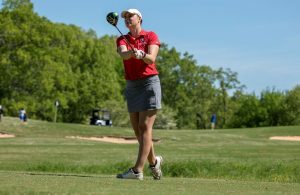 The Govs’ final regular-season outing finds them in Nashville next week for the Ryman Hotels Intercollegiate, a Lipscomb-hosted event slated to take place at Richland Country Club.